The design and finish of the speaker are appealing. Speakers play an important role in the kind of audio you would wish to perceive. It varies from people who love different genres of music, movies as well as video games. No matter your orientation, it is safe to assume that everyone wants the best quality especially if its available at an affordable price. However, not everyone could be into speakers. Especially, if you’re not a professional musician, composer or music producer. So, how do you go into the nitty-gritty of specs you should look for in a speaker? Let’s imagine a situation where you’ve probably visited a friend and seen them with a fancy speaker setup in their home office. You come to like it but want to have a slightly different setup. This piece is solely written to help you understand what you should look for in a speaker. You may be narrowed to considering how the speaker looks and the cost. However, apart from cost and design, other variables matter. These include sound quality, features, and connectivity among other variables. Therefore, let’s discuss the variables you could get from purchasing the Q Acoustics 3020i bookshelf speakers. Then, determine whether it is a valuable purchase for you. Consistency is an admirable trend a manufacturer can employ in their products. It is true especially for tech manufacturers like hi-fi kit companies. To determine consistency with the same brand would beckon that we venture a little bit into the Q Acoustics’ history. 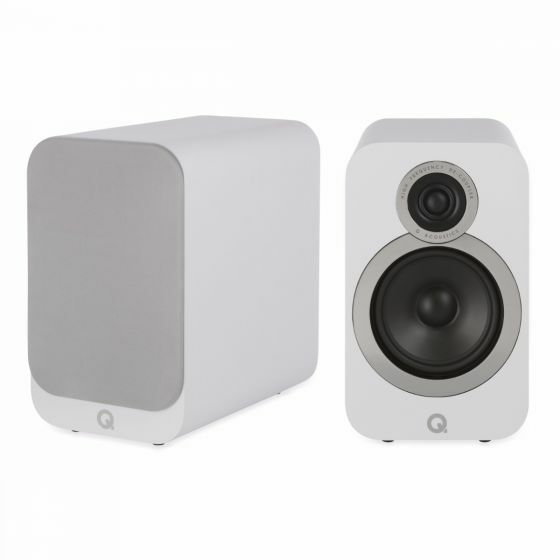 Q Acoustics released the 3000-series speakers in 2015. It was warranted a rare “Trusted Reviews” blog site review score of 10/10. This is quite impressive. The score represents a perfect presentation of performance and affordable price to the consumer. If you’re looking for a mean set of stereo speakers at an affordable price then the 3020i is the right choice for you. Let’s review the variables to justify this claim. Although, we have to be honest and state that the culture for Q Acoustics does not really give room for much change. Therefore, reviews for the 3010i may sound a little bit the same. Props for consistency but not the kind customers may be looking for. As stated, the brand does not really ride on drastic changes. Hence, the overriding aesthetic of the 3000i range has not changed much. It maintains the same straight and rounded edges blend like its predecessors. This look gives the speakers a more contemporary feel. On first glance, they have a clean-cut finish emphasizing its simple sophistication. The design clearly demonstrates the notion of staying small by going deep. Despite a fairly considerable hike price from the 3020 model, the “i” series has some improvements that make them just as competitive. The cabinets for the 3020i are slightly larger than those of its predecessors by 25%. This promises to enhance extended and powerful bass responses. For the category of bookshelf speakers, they have no problem shifting large volumes of air. The trimmings for the 3020i are a little more luxurious and futuristic. The speaker terminals directly go through the MDF cabinet as opposed to a terminal panel. Its separate front baffle is integrated for a unibody design. The brand has also added a touch of chrome on the speaker drivers and the Q logo emulating a state of a premium class. The brand offered its loyal customers with color choice. The speakers are available in Arctic white, Carbon black, Graphite grey, and English walnut for those going for a more vintage look. Excitingly, they all go for the same price and you no longer need to pay extra for the black or white option. For the estimated price point of $299, the speakers have a great structural rigidity. They take motivation from their concept model -Q Acoustics 500 speakers. Specifically, the point-to-point cabinet bracing from the concept model has ramped up its internal rigidity. The result is reduced structural vibrations that cause sound distortion. This is a fault nobody would want in their speakers. This time around, its 20mm tweeter is separated from the baffle by a new silicon suspension. The modification keeps it isolated from the woofer’s vibrations. In turn, you get a better quality sound. Its woofer has a new low rag rubber surrounding which guarantees accurate cone movement. The tweaks and modifications mentioned under design and optics actually work for the 3020i model. It sounds fantastic! This makes its price point sound like a steal. On first hearing, you can recognize the familiar Q Acoustics sound. We could call it the Q Acoustics “sound print.” It is a rich warm character with a surprisingly level of vigor and agility. Surprisingly, after you consider the weighty delivery of sound, you would not be disappointed. When it is compared to its predecessors, the speaker emerges as more precise in its sound delivery. Despite the 3020-model having a similar detailed sound, the 3020i just sounds more eloquent. It is better off in noticing the separate production values in different songs. Actually, vocals from the speakers shine. This implies that 3020i’s mid-range is direct without sounding too forward. To put it more dramatically, it is emotional without being insistent of the spotlight. The bass response is more extended and deeper thanks to the larger cabinet size and new low rag surrounding the woofer. The bass clearly ramifies the kicks and punches that a producer would have intended the listener to hear. Although, from a combined point of view, the bass does not overpower other sounds. The speakers exhibit a good tonal balance. You are clearly capable of tracking sound no matter what genre you pass through them. They are highly versatile. In regards to timing, richer performances can sometimes weigh down the timing of sound output. That is not the case for the 3020i. Even with the most chaotic of tracks, the speakers still output a good sense of rhythm. Coupled with the agility and clarity, it emits a wonderful sense of musicality. The sound quality introduces some sense of space which is well organized and provides a firm sense of where the action is happening. It almost draws you into the actual space making you feel the reality of the performance at hand. Unlike their predecessors, when they are placed close to the wall, they tend to lose the open space feel. The 3020i has a basic speaker input at the back but has no power button. It means that they are passive speakers and would need to be connected to some form of an amplifier to work. Most people use receivers from reputable brands like Sony, Herman & Kardon and Onkyo. Using a poor receiver may distort the quality of your sound. The low-profile terminals with the recessed cut out help you reduce cabinet noise and allows you to place the speakers close to the wall though it is not advisable. The kind of plugs for the audio cord is the banana type although it does not come with the speakers. You have to purchase them separately. This will enable you to connect the speaker to a receiver. Since you do not get the full extent of the sound quality when placed close to the wall, move them forward a little. You could also purchase stand-alone platforms and place the speakers on them. It actually gives you the desired crispy acoustic sound quality. Some people use these speakers as part of their home theater setups and it does the job quite fine. However, if you want to maintain Q Acoustics’ signature sound then pair it up with other Q Acoustic speakers. The speakers are ideal for lighthouse or office music. That is if they are installed alone. You won’t be needing loud thumping music at such locations. However, this is not to say that they cannot withstand. They effortlessly withstand loud music. 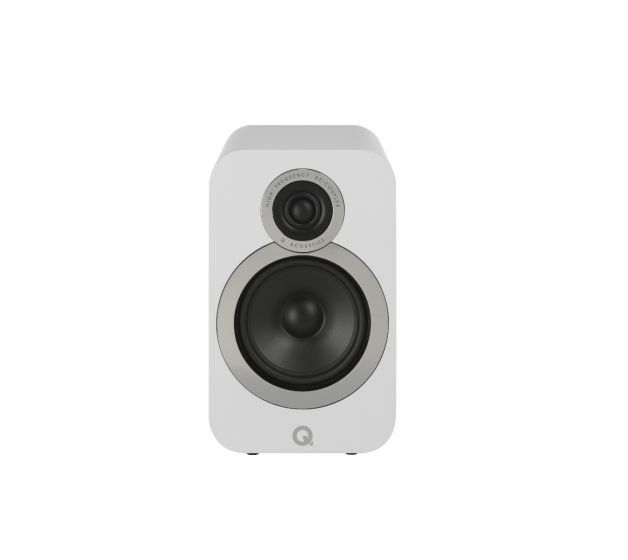 Definitely, the Q Acoustics 3020i bookshelf speakers are one that would satisfy audiophiles and music lovers out there. The upgrades from its predecessor – 3020 are apparent as soon as you unbox it and when you press the play button. Ideally, for the price point of $299, anyone looking for a small, high-performance speaker, should strongly consider the Q Acoustics 3020i.